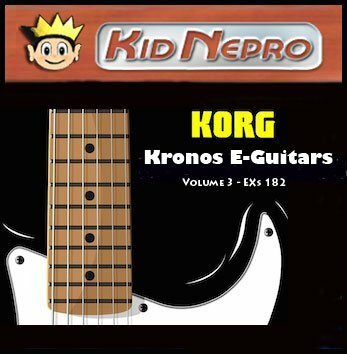 Kid Nepro’s Amazing Kronos E-Guitars have just been released as a Reason ReFill – $30. USD. Perfect for your next gig or recording session. 50 New .rns & .sxt files with hundreds of new samples from our Vintage Electric Tele, Strat & Les Paul. Sounds include clean guitar samples and harmonics to heavy distorted, overdrive power leads and feedback. All set up for Propellerheads Reason using a wide range of Digital Effects. SPECIAL BUNDLE PACKAGE: The Ultimate Reason ReFill. Get all seven of our amazing Reason ReFills for Only $100. Hundreds of new samples from our Vintage Electric Tele, Strat & Les Paul. Sounds include clean guitar samples and harmonics to heavy distorted, overdrive power leads and feedback. 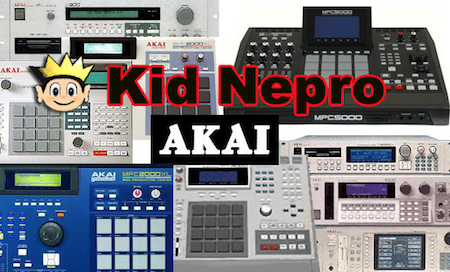 All Key Mapped for easy set up with your hardware or software sampler. Dozens of cool guitar loops included. Compatible with any sampler or soft-sampler that imports wav files. Our third collection of Electric Guitar Sounds is now available for the Korg Kronos. 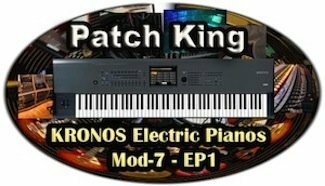 Sounds compatible with all Kronos models, including the Kronos Classic, Kronos X and Kronos 2. 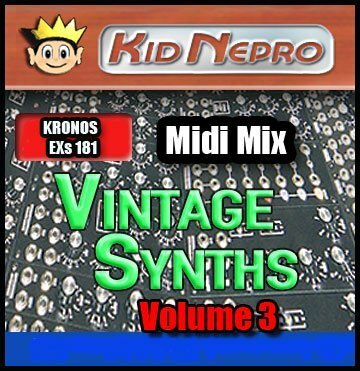 Kid Nepro’s third Electric Guitar PCG for Kronos has sampled new sounds from our Vintage “Tele” Guitar. 66 MB of new samples included. A wide mix that’s perfect for your next recording session or live gig. ONLY $69. USD. The PCG file includes 64 programs, 16 Combis and 16 Guitar Loops. A great assortment of clean guitars for light tracks or heavy overdrive leads that will have you soloing like a rock star at your next gig. There’s also a several effects added to the controls, which simulates all the effects pedals that a guitar player will use on a gig or recording session. Kronos Electric Guitars V3 is perfect for your next studio recording or live gig. Or if you just want to jam along, the cool KARMA grooves included on all Programs and Combis will have you jamming for hours. 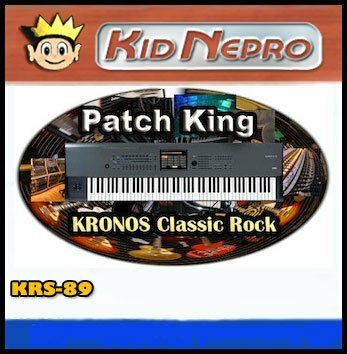 Kid Nepro’s Classic Rock sound collection for Kronos contains an amazing mix of new sounds for Mod-7, AL-1, MS-20 & Poly 6 sound engine. A wide assortment of vintage synth sounds that are perfect for your next Classic Rock recording session or live gig. ONLY $39. USD. 64 programs and 16 Combis included. A great mix of new Synth Basses, Leads, Strings, Pads and lot’s of classic rock rhythms that were used on countless recordings during the 70’s and 80’s. There’s also a several effects added to the controls, which add a nice variety to each program. 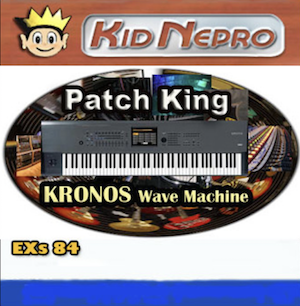 Kronos Classic Rock is perfect for your next studio recording or live gig. Or if you just want to jam along, the cool KARMA grooves included on all Programs and Combis will have you jamming for hours.